Week One of MAF Done! I just wrapped up my first full week of Maffetone Method training. For the week I ran 70 miles in 9 hours and 13 minutes, gaining a little over 3,000 feet (which is just awful). I also walked between 10-12 miles and had two great weight workout sessions. So on the week I covered a little over 80 miles--not bad. The lack of serious vertical is mostly because of the crappy weather we've had--I wasn't able to get in a big climb this weekend because a monster blizzard blew in. I really enjoyed my first week of MAF training. My pace was never really frustrating, though on Saturday I had to slow down quite a bit on a few uphills in Parker to stay in my MAF range (136-146 beats per minute). The plan is to stay with MAF training for the next 8-10 week and do monthly tests to determine how my aerobic fitness is developing. The most appropriate place for a MAF test is the track. Unfortunately, the track I use is covered in snow, so I may need to find an alternate location. The point of this MAF stage is to build a solid aerobic base, which I feel I've really lacked for the past few years (more on that below). As a huge bonus, MAF training will also improve my ability to burn fat while running. Being an efficient fat burner is essential to successful ultrarunning (and staying lean). Base-building period is 8-10 weeks and 100% MAF. Miles get no higher than 70-80 a week. The goal is aerobic development and consistent weight training. Now through April 20. Fundamental period is 6-8 weeks with short, fast hill repeats and some limited, light lactate threshold running and lots of mileage. This is the big volume period. Easy days are at MAF. April 21-May 31. Specific period is 6-8 weeks and mileage is 80-90% reduced over peak mileage. Long tempo runs. Long runs at MAF on the Leadville 100 course. Proactive recovery is critical. June 1-August 2. Taper period is 2-3 weeks and involves rest and some striders along with light tempo running August 3-August 17. I know what it feels like to be aerobically strong. 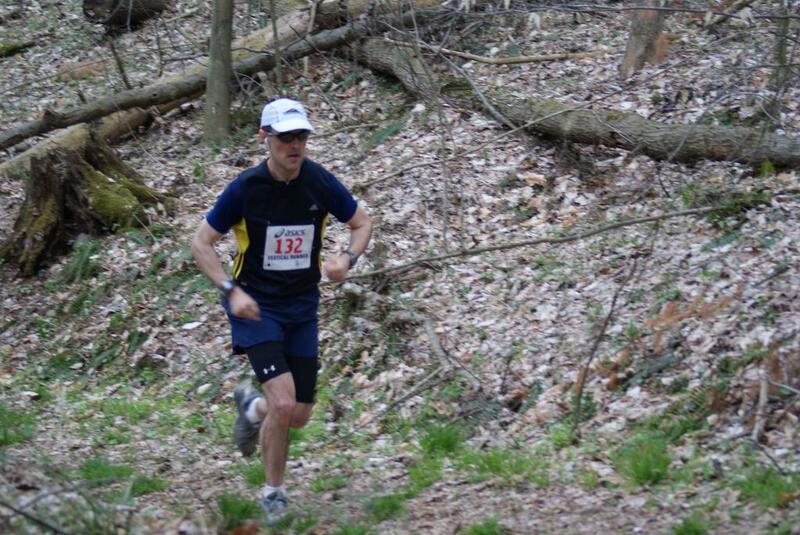 The photo below is of me in the spring of 2009, racing a challenging 50K in Mohican State Park. I finished fifth overall and hit my stride at about mile 25. In those days I could run 9 or 10 miles in the morning and then go out for 6 more miles in the evening at 6:40 pace. I often had to hold myself back on those second runs of the day. Then on the weekends I'd run 40 miles over Saturday and Sunday to finish the week with 100+. Then I'd do it again the next week.... Back to the photo.... I could have run forever that day. When I look at that photo I see a confident runner with a confident stride. I'm in the moment and I believe in myself. I was eight weeks away from a big win. I no longer race with confidence, and I think it's because I haven't felt physically good in a long time, save a few races here and there. If I had it do again, when we moved to Colorado I would have spent that entire first year training at MAF, because it was when we moved here that the wheels really came off. I think I unwittingly allowed the altitude to just totally screw up my aerobic fitness. I'm not aerobically weak by any stretch, but I'm not aerobically strong, either. Now for the tougher part…the endurance. This is where heart rate training becomes king. Endurance is THE most important piece of a triathlete’s fitness. Why is it tough to develop? Simply put, it is challenging because it usually means an athlete will have to slow things down from their normal group training pace to effectively develop their aerobic engine and being guided by what is going on with your heart rate rather than your will to the champion of the daily training sessions with your training partners! It means swimming, cycling and running with the ego checked at the door. But for those patient enough to do just that, once the aerobic engine is built the speedwork will have a profound positive effect [on] their fitness and allow for a longer-lasting improvement in performance than for those who blast away from the first day of training each year. This week's goal: 65-70 miles at MAF. If we ski this weekend, getting to 70 miles might be a challenge. We'll see. I'll end with this informative interview with Dr. Maffetone himself. The point where he talks about the difference between being a runner and being healthy really resonates with me. As I begin my Maffetone Method base-building, which will span the next 8 weeks, I want to try to do more frequent blog updates to share observations. I'm by no means a MAF expert; I'm still figuring it out a bit as I go. Part of that process is reading everything I can, but the biggest part of it is just personal experimentation. This morning MAF helped rescue me from a crappy workout. It was too icy to run outside (the roads in Parker are horrendous), so I hit the treadmill for an 8-miler at MAF. During the first mile my heart rate (HR) unexpectedly spiked to 167 without warning. As GZ pointed out, that could have been related to static or whatever, since Denver is so damned dry. Or maybe my HR just spiked since I was, after all, feeling quite rough from two runs and a weight session the previous day (plus crappy sleep on Wednesday night). In the moment, though, my only reasoning for the spike--again, I was feeling rough--was that I was dragging from yesterday's training. So I slowed down, and even stepped off the 'mill for a few seconds, and got my HR back down to MAF range. Once back in range, I settled into a nice pace for the rest of the way, clocking 8 miles in 1:01:49. During the last few miles I had to slow my pace a bit to stay in MAF. Average HR was 138. Perfect. Without MAF, I would have tried to push through feeling like crap and would have only felt crappier with ever step, digging myself into a hole. We often don't recognize the holes we're digging, but we dig them with one shovel-ful at a time and this morning, had MAF not reigned me, I would have started digging that hole and suffered the consequences for days. Instead, I let MAF pull me into the pace I needed to be in. That is the beauty of MAF! It's not a predetermined pace and it's sure not LSD (long, slow distance). If you're feeling good, then your pace is going to be good. If you're feeling rough, like I did this morning, then MAF is going to "make" you run slower. It's a personalized approach to training, and I love that. The Maffetone Method: A Breakthrough? Today marks my fourth day of practicing the Maffetone Method. The Maffetone Method was developed decades ago by Dr. Phil Maffetone. World-class endurance athletes like Mark Allen and Stu Mittleman have seen remarkable results with the Maffetone Method. But it's not just for top athletes; Maffetone is practiced every day by thousands of endurance athletes--from runners to triathletes to cyclists. 1) Subtract your age from 180. So, for me, since I'm 39 and very experienced, my formula goes as follows: 180-39+5=146. My MAF zone is then 136-146 beats per minute, meaning I want all of my training for the next few months, while I base-build, to be between 136-146 without exception. If I stay in that zone, I'm within my aerobic zone. I'm within the "safe zone." Here's why I like MAF. When we're aerobic, we're mostly burning fat for fuel--and we have lots and lots of fat even if we're lean like I am--and it's very low-stress compared to anaerobic training. When we go anaerobic, like in a tempo run, we start burning a lot of glycogen and ask a lot of our muscles and endocrine system and that can stress our bodies and ultimately put us in the overtraining hole (check out this blog by Lucho for more info on that). When faced with diminishing returns because of overtraining, usually I just train even harder (I am, after all, a determined runner). This is not a good situation, especially in high-altitude places like Colorado. By trying to push through instead of listen to my body's signals, I'm basically burning the candle on both ends. MAF can keep you from doing that. That's not to say going anaerobic is bad; quite the contrary, it's essential to peak fitness. But it has to be done at the right time. When base-building for the upcoming racing season, it's vital to first establish aerobic strength, which in turn will provide a solid foundation for some purposeful anaerobic strength-building running later in your training. Without a solid aerobic base, doing anaerobic training is in essence like building a house on sand. Whereas lots of people get frustrated with MAF in the early stages because they have to run so slow to stay within their MAF range, I'm really enjoying it. Armed with my heart-rate monitor and some residual fitness from the Phoenix Marathon, I'm finding that I can run as fast as 6:30 pace within my MAF range, but on average I'm at 7:20-7:40/mile while at MAF. I haven't yet tried MAF in the mountains, and I'm due for a bona fide MAF test once the snow clears. Sometimes you literally have to stop running and start walking in order to stay within your MAF range. That can frustrate folks. The good news is that, with patience and firm commitment to MAF, your speed will increase as your aerobic capacity improves. You'll also lose some body fat. Or so I've read. The kicker for me is that not until I dug in and started to learn about MAF did I realize that I used to train pretty much exclusively in my MAF range without even knowing it. From 2004 to the spring of 2008 I'd say 95% of the miles I ran were at MAF. I didn't do tempo runs, save the occasional fast mile here and there. I ran at MAF and I was pretty satisfied and rarely injured. In the spring of 2007, while training for my first 100-miler, I dramatically upped my mileage to 100+ miles a week (from 50-60/week), pretty much all of it at MAF! And I got a satisfying result on race day. In the spring of 2008, I adopted intensity as part of an overall high-mileage program. Within weeks of 100-110 miles I was doing tempo runs along with intervals, meaning I was going anaerobic quite a bit. And in 2008 and most of 2009 I was mostly healthy (save a minor knee issue in 2008 and some tweaks following a 131-mile performance in a 24-hour race in 2009) and I still did some MAF training on "easy" days. I attribute my fairly good health in that time span in part to relative youth but also to the fact that for all those prior years I'd built up a super strong aerobic base that carried me to some good performances in 2008 and 2009. In short, those performances were due to years of MAF training. Or so I now believe. Over the past few years--really since we moved to Colorado in April of 2010--I've been injured a lot. I've done a lot of soul-searching around why I've been injured. Is it age? Have I just broken down? Am I training wrong? Is my body not reacting well to the altitude? Last week, while reading Brad Hudson's book (he, too, advocates a base-building stage), it hit me that I've done a poor job of building a solid aerobic base at the start of the year. I've asked too much of my body and I've habitually plateaued too early, only to go stale or get injured by race day. Last year, for example, I had clearly gotten myself into good shape by late April, but by July I was injured and that set me up for the DNF at Leadville. My training wasn't well-timed; I had no base-building stage and zero progression except for a simple mileage build-up! I also think going anaerobic at 6,200+ feet is really tough on the body (don't know how guys and gals much higher up do it). You have to be smart about it and go anaerobic on the right days, when you're recovered. For me, many East Coast running rules don't apply to Colorado! These are lessons I'm just now learning as I become more and more familiar with MAF. Poorly timed anaerobic training has paradoxically weakened my body and made me susceptible to injury--severe plantar fasciitis in 2010, tendonitis in my shin in 2011, Achilles issues in 2012, metatarsalagia in late 2012/early 2013, etc. Of course, age has only worsened the situation. Now 39, I'm losing muscle and that, in turn, stresses my tendons and ligaments when I'm running a lot. The weight-training I'm now doing is intended to reverse muscle loss and in fact add raw strength. I'm already seeing results, not only in how my legs feel but also in how they look. The good news is that my body weight remains around 167. So for the next eight weeks I'm going to dedicate myself to MAF training (up to 70 miles a week) while also continuing my weight training amd regular mountain trail running. Fortunately, I'm already in decent shape; I can run a MAF mile after a four-mile warm-up in 6:30! I'm starting in a good place and over the next two months I'm going to lay a solid foundation upon which I can train for Leadville. After these two months, I'll start to introduce some steep hill climbs and lactate threshold training to build strength, gradually increasing the duration of anaerobic training as Leadville approaches. But the bread and butter of my training will be lower-intensity running. In many respects, I've gone back to what I used to do. I really believe I've stumbled onto the holy grail of training for me. Only time will tell if it really works, but so far I'm liking it. It looks like my last post on long, slow distance (aka, "LSD") training for ultras set off a veritable firestorm, relatively speaking. In the spirit of continuous improvement and challenging even my own assumptions (I like to go fast), I'm going to go deeper into my thought process, at the risk of offending those who think the very thought of LSD is akin to blasphemy and idiocy. When you train for a marathon, usually you have a goal time in mind. If that goal is 2:59, then that means you need to train a lot at 6:50 pace--with many long runs hitting that pace. 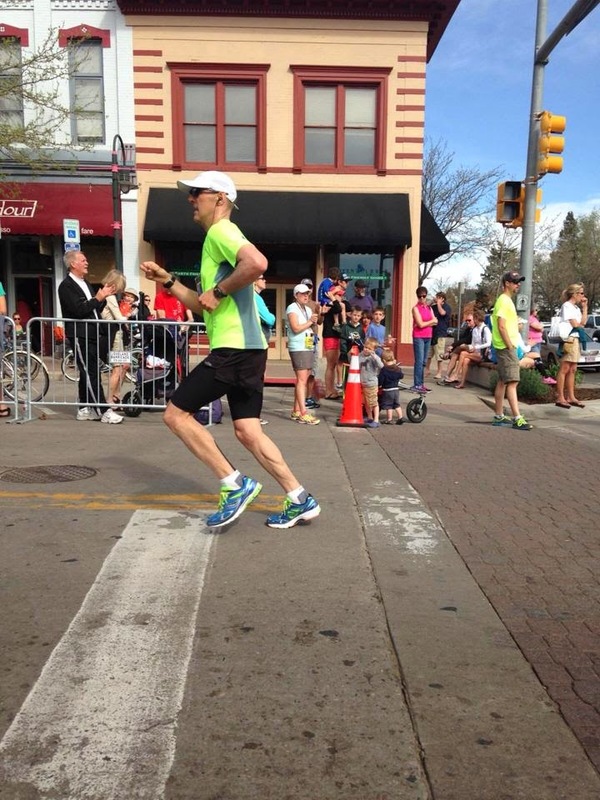 The more volume you can put in at 6:50 pace, the more prepared you will be for 26.2 miles. Goal-pace training is a big part of what we refer to as specificity. But specificity is about more than goal-pace training. It's also about preparing yourself for the conditions and contours of the course. If the course has hills, like what you find in Boston, then you'd better put in some time on ups and downs. If your race is likely going to be in the heat, then you'd better be ready for that. Etc., etc. I think that, in many respects, the principles of successful marathoning are fairly well established, even as new understandings come about regularly. It's a safe bet that Renato Canova, Jack Daniels, Brad Hudson and others are onto something. Like many, I do not think the same principles that guide successful marathoning necessarily apply to racing 100-milers, especially 100-milers of the mountainous, high-altitude variety. Hundred-milers require a lot of mental toughness, but they also require a lot of physical preparation. You have to run a ton in your training, and it's best if most of your training is in the same conditions and environment as the race itself. Ah, but proper pacing is also critical. Let's go back to the marathon. If your goal is a 2:59, then it's probably best that you attack that goal with relatively even splits the whole way. You wouldn't want to go out and do the first half in 1:25 if you'd trained specifically for a 2:59. To do so would be to risk blowing up. Especially in mountain 100s, oftentimes we see huge variations in splits between the first half and the second half. The Leadville 100 is Exhibit A for this phenomenon. It takes a special (and smart) Leadville runner to do a negative split on that course (unless they were totally sand-bagging it for the first 50 miles). In 2011, when I ran a rather decent 22:35, my first-half split was in the neighborhood of 9:15 (11:06/mile, including stops), meaning it took me 13:20 (16:00/mile) to do the second half. In 2009, I won a 100-mile race in the last 20 miles because I'd started conservatively enough to save my energy for a strong final push. What if I'd run the first half of Leadville in 2011 in, say, a time of 10:00 or 10:30 (~12:00-12:30/mile including stops)? Would a slower start have allowed me to have a stronger second half? Ah, perhaps we have an example to work from! At the 2012 Leadville 100, the runner who, in my opinion, executed the smartest race was Brandon Stapanowich, a young up-and-comer from Colorado Springs who has a very bright future in the sport. Brandon, who, unlike me, has a lot of talent and brains, finished the race in a very impressive 19:32, which was good for seventh overall. But that's not what most impresses me. What most impresses me is the intelligence behind Brandon's race strategy. Guess what his first-half split was? It was 9:06. He went into Mayqueen, the 13.5-mile mark, in a rather pedestrian 1:57. As many of us know, Brandon could have run to Mayqueen and covered the first half a lot faster than he ultimately did last August. Instead, he chose a conservative first-half approach, which then helped set the table for an impressive second-half split. I also think Brandon arranged his approach around the fact that he's a super strong climber, which helped him excel at the Hope Pass and Powerline sections. To wit: I believe he was the only top finisher whose return trip on Hope was faster than his outbound. So, it's quite obvious that Brandon held back a bit in the first half, and then decided to up his intensity in the second half. While some of the guys in front of Brandon may have run faster second halves, few achieved a more consistently paced first and second half. When I think about running 100s, it seems to me that proper pacing, like what we see in Brandon's 2012 Leadville 100, is critical. Does it make sense to go out in a 100 at 8:00/mile pace, when deep down you know you're not going to be able to hold that pace in the end? Or, does it make better sense to go out at, say, 10:00/mile pace and save energy that you'll need in the end? 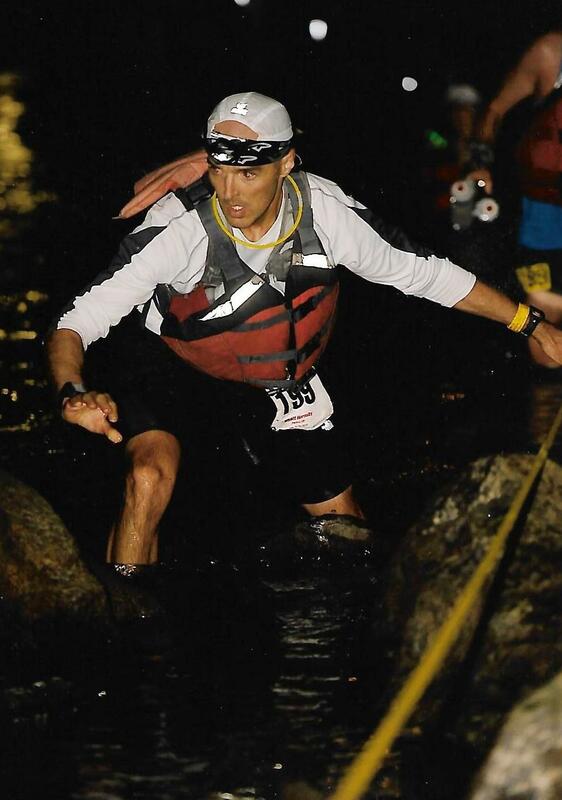 A 100-miler doesn't have to end in a death march to the finish. If one paces themselves correctly, one can stay strong from start to finish. Herein lies my own $60,000 question: What is the ideal pace for me in a 100 like Leadville? And by ideal pace I mean the pace at which I achieve optimal efficiency. Is my optimal pace the pace I purposely train at for months, or is it some arbitrary pacing schedule I choose on race day? 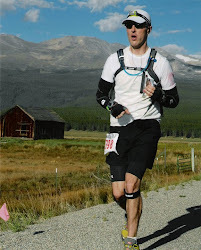 Again, in 2011 I ran a 9:15 first half and a 13:20 second half at Leadville, clearly a larger than ideal separation. What if I'd come into Winfield in 10 hours rather than 9:15. Would my second half have then been much faster than 13:20 since I'd held back even more for the first 50 miles? Could I have maybe run the second half in 11 hours or 11:30 instead of 13:20? Which begs the question: Does it make better sense to train a lot at that pace (about 10:00-11:00/mile) rather than at 7:00 or 8:00 pace? For me, being a guy who likes to run fast, it's hard to imagine training at paces that slow, but maybe doing so, along with plenty of exposure to the Leadville course itself (which I'm going to get this summer), would enable my body to achieve super efficiency--a level of efficiency I've never had in 100s. It's good to ask these questions in February, when my training hasn't really begun. Questions are good. It's healthy to probe deeply into one's training habits, because there are almost always better ways to do things. My search for those better ways continues. Just a short post. I'm reading Brad Hudson's book, Run Faster, which is awesome! For some reason, his book has gotten me to thinking about long, slow distance training, aka LSD, for ultras (which, by the way, is not the topic of his book). Everyone talks about the merits of specificity in training, and yet many ultra runners out there (like me) do tons of quality fast stuff when training for the 100-mile distance. If you're training for a sub-3 hour marathon, then you need to run lots of miles at your goal pace, which is around 6:50. If you don't train a lot at goal pace, your body's not going to be ready for the demands of a hard 26.2 miles and you're likely going to fall short. Looking at ultras, if your goal is 20 hours in a 100-miler, then that breaks down to 12-minute miles. With aid station and bathroom stops factored in, we'll say your running pace is around 11:30/mile (the other 30 seconds/mile is for the stops). So, in the name of specificity, doesn't it make sense to spend a lot of time training in that zone (10-11:30/mile)? If your goal is a 20-hour, does it make sense to run fast tempos and hammer it around a track, which don't equate to your ultra goal pace and only raise your injury risk? I've always favored quality in my ultra training, but I continue to think about better ways to skin the cat that is the 100-mile distance, like tons and tons of miles near goal pace. This post isn't to suggest that quality for ultra training is bad; it might be the ticket. This post is just intended to express some thoughts I have and maybe get a dialogue going. Am I on to Something with My Leadville Base-Building? I think the foundation I'm building for my Leadville training is going really well. I'm loving my weight-training. I'm going to the gym 2-3 times a week and focusing on my quads, hamstrings, glutes, hips and core. I think I've found some weakness in my left hip that I'm addressing. Already I'm feeling a difference when I run. I don't necessarily feel faster, but I do feel stronger and more "balanced." I used to think successful ultrarunning was mostly about running lots of miles and having a strong core. Now I'm thinking weight-training has been a huge missing piece of my approach for the past few years and I'm excited to see where it takes me. Another benefit is that it makes me feel great and it doesn't take that much time! I'm also doing well with getting to the trails at least once a week to do some climbing. Because of time considerations, it's hard to get to the mountain trails during the work week, so the weekends are when I get in my climbing. I've never started with a structured climbing program this early in the season. I think it's going to pay off in a big way come Leadville! By June I'll be doing a lot of volume on the trails with some big, big climbs and descents. Right now, my focus is on getting my body ready for training, and that means 1) weights and 2) climbing. Oh yeah, and some fast stuff, too! I continue to go back and forth on my race schedule. Part of me wants to sign up for a bunch of races but then another part of me says not to do that but instead to focus on Leadville. I've been thinking about going back to the Golden Gate Dirty Thirty, a gnarly 50K near Golden, but then I realize I could use that weekend in early June to train in Leadville. What's more valuable in getting me ready for Leadville--running Golden Gate or training on the Leadville course? Right now I'm seeing more value in training on the course. As my work career has progressed, "value" and "return on investment" have taken on greater meaning to me. So I'm now applying what I know about value and ROI to my training. Is the ROI for the Golden Gate Dirty Thirty greater than the ROI for a run of 25-30 miles on the Leadville course itself? I continue to think about this, and the more I think about it the more I see the merits of on-course training and total focus. I do think most ultrarunners over-race. I've been guilty of over-racing and I think that, as we age, over-racing can become a big problem. It can put us in the over-training hole. I have never been good at using races as training runs. When I enter a race, I go harder than I would in a training run, and so more recovery is required. While I think using races as training runs has some value at times, I also think it involves some risk when you're an aging athlete focusing on a grueling 100-mile race at the end of the summer. That said, it's good to do some races to stay mentally sharp. I still have some time to iron out my race schedule. But at this point I'm thinking I'll do either the Cheyenne Mountain 50K or Greenland Trail 50K for fun and then just basically spend my summer training on the Leadville course and doing other high-quality runs that get me ready for the big day. No commentary necessary. Except to say this ad brought tears to my eyes.